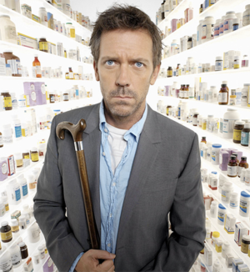 Dr. Greg House a role played by an actor, called Hugh Laurie. He also fooled around in Blackadder. Terry’s right: I better start reading some more non-fiction and put Innis away for a while. This entry was posted on Thursday, August 13th, 2009 at 8:26 am and is filed under going Independent, Inner work, Writers. You can follow any responses to this entry through the RSS 2.0 feed. You can leave a response, or trackback from your own site.